Join us for the opening of Ukiyo-e to Shin Hanga: Japanese Prints from the Syracuse University Art Collection and Nuremberg and Augsburg Chronicles. These exhibitions explore two fascinating worlds of printmaking in history. RSVP by contacting Kayla at 518-792-1761, ext. 310 or adminassist@hydecollection.org. ADMISSION to the Member Opening is free for members. Want to bring a friend? They can be a Member for a Day! Non-members may attend by paying a $5 activity fee, plus Museum admission (both of which is taken off the price of membership should they choose to register). 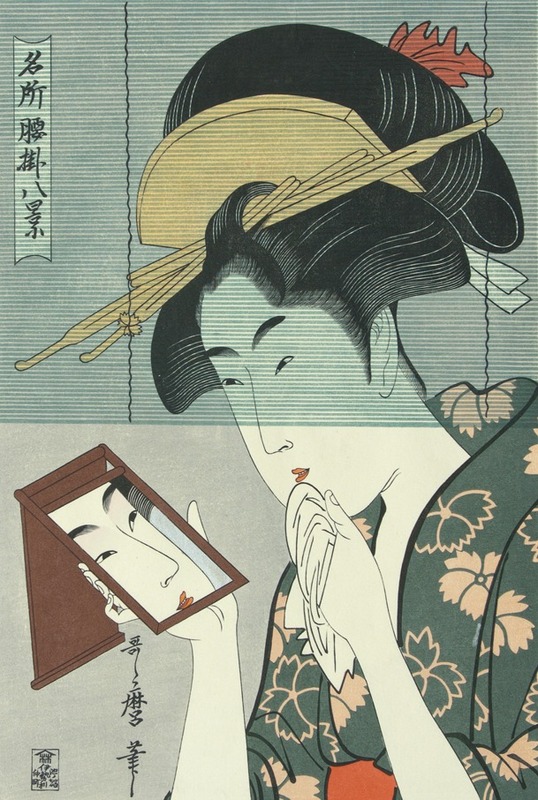 Image: Utamaro (Japanese, 1753-1806), Woman looking at her face in mirror, c. 1800, woodcut laid Japanese paper, 14 7/8 x 10 16 x 10 5/8 in., Gift of Colonel John R. Fox, Syracuse University Art Collection, 1967.1700.